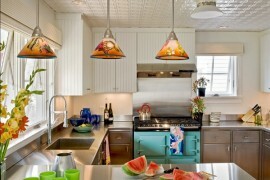 Modern kitchens are as much about painting a pretty picture as they are about getting the job done. 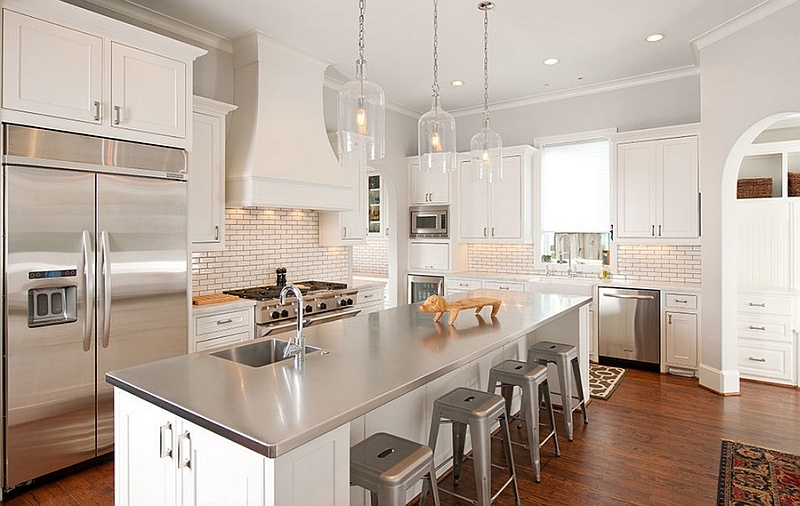 Bringing together convenience, style and sheen, stainless steel is a material that seems fitting for today’s kitchen. 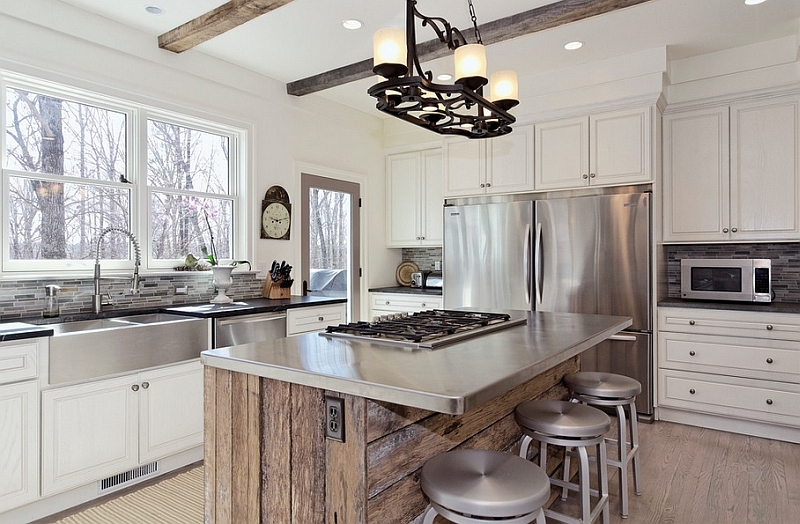 While most commercial kitchens have been in on this trendy metal for some time now, the last few years have seen a resurgence of stainless steel countertops, even in conventional home kitchens. 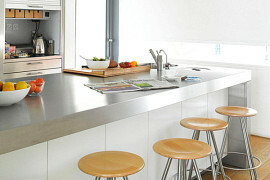 Apart from the countertops, there is the sink and the cutting-edge appliances with their glossy stainless steel hoods! 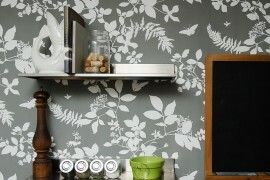 And all of these add a twinkle to your contemporary kitchen while making your life a lot easier. 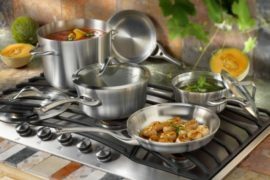 Most basic stainless steel cleaning techniques simply involve some warm water and a really soft rag. Microfiber towels are a wonderful way to clean up kitchen surfaces, as they offer both the softness required and the hygiene. 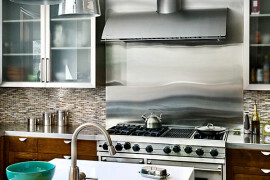 Stainless steel is inherently easy to clean. It does not demand too much attention unless you have neglected it for too long and do not immediately clean up after spills each day. 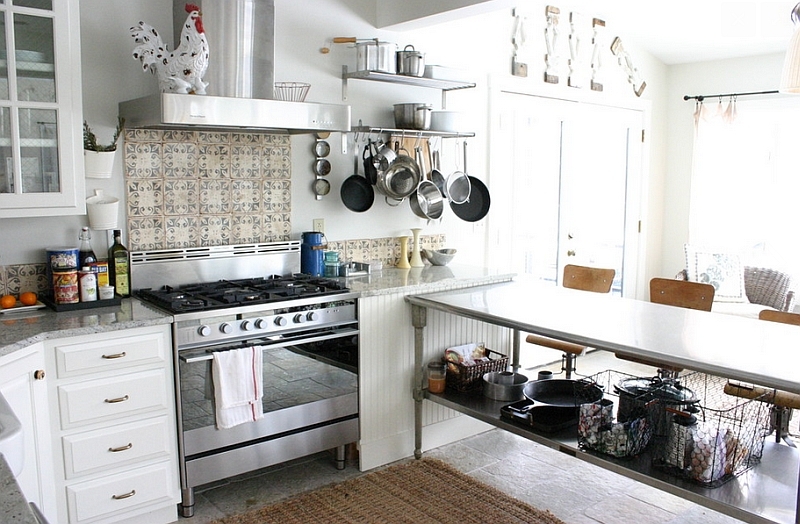 In the case of both kitchen countertops and cookware, it is also best to wipe them dry, as mineral deposits can leave water spots even after thorough cleaning. While using a detergent to get those tough stains off of stainless steel cookware is fine, it is best to keep it as mild as possible. Since we are dealing with kitchen islands, pots and pans, this also helps in avoiding harmful chemicals that might eventually seep through into your food. Stainless steel does not require steel wool or abrasive scrubbers for cleaning. There is also no need to go over the top with strong detergents. For the everyday cleaning of cookware, a common dish soap will suffice. Wash items by hand rather than using a dishwasher and dry them immediately. 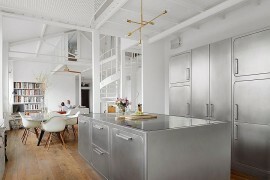 We did tell you that stainless steel is hassle-free and easier to maintain than many other surfaces, and we will stick to that promise even when it comes to the long-standing stains. 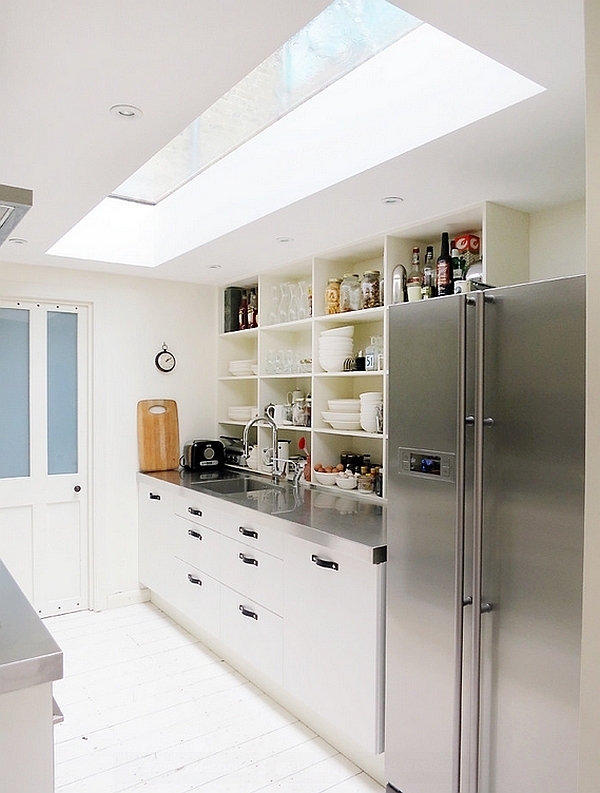 A simple way to do this is by spraying a bit of white vinegar onto the stainless steel surface you intend to clean. Once again, use a soft towel to wipe it clean and you will instantly see the shiny transformation. The acetic acid in the vinegar is a wonderful cleaning agent, and it is also a safe way to clean kitchen surfaces without harsh chemicals. Baking soda is another miracle worker that seems to give a new lease on life to those dull, old stainless steel sinks and countertops. Just spray it around and use a wet towel to get the job done! It’s simple, effortless and barely takes any time at all. 4. Bring Back the Shiny Glint! 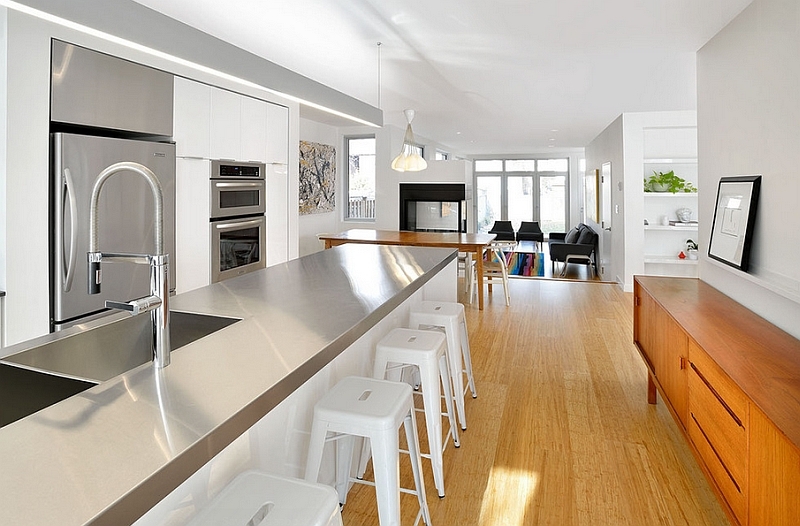 The one universal complaint about stainless steel surfaces in the kitchen is fingerprints. The cleaner you kitchen countertop, refrigerator door or utensils, the easier to spot that one lone fingerprint that ruins it all! For starters, a good approach is to not to obsess about every minute print (yes, that is the laziness in us talking). But if you do want to get the stainless steel kitchen ready for guests, then a multi-surface cleaner like Windex is a fine choice. It also apparently gets rid of any lingering bacteria, which is only a good thing! 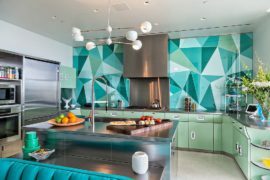 When it comes to fridge doors, there is a bit more leeway regarding what you can use to polish them than in case of countertops and kitchenware. 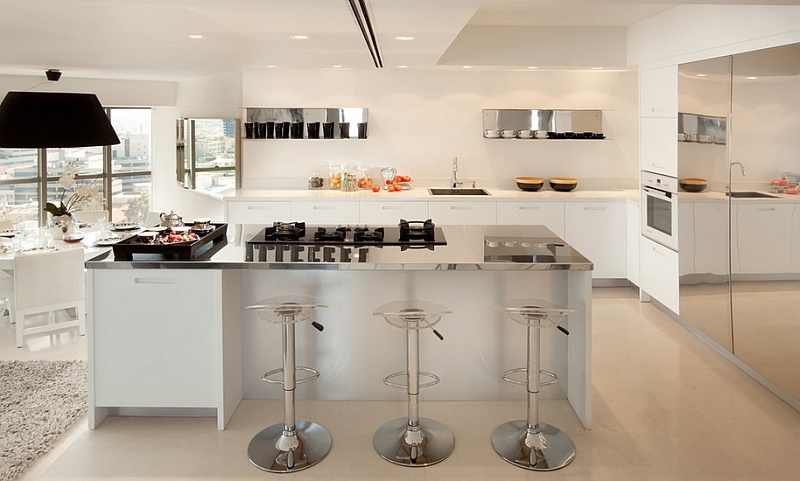 Olive oil or even baby oil is a fine way to really put the sheen back on those stainless steel surfaces. They also keep future smudges away for a week or two. Instead of cleaning your kitchen surfaces once every two weeks or a month, spend a few extra minutes each day to make the task easier. 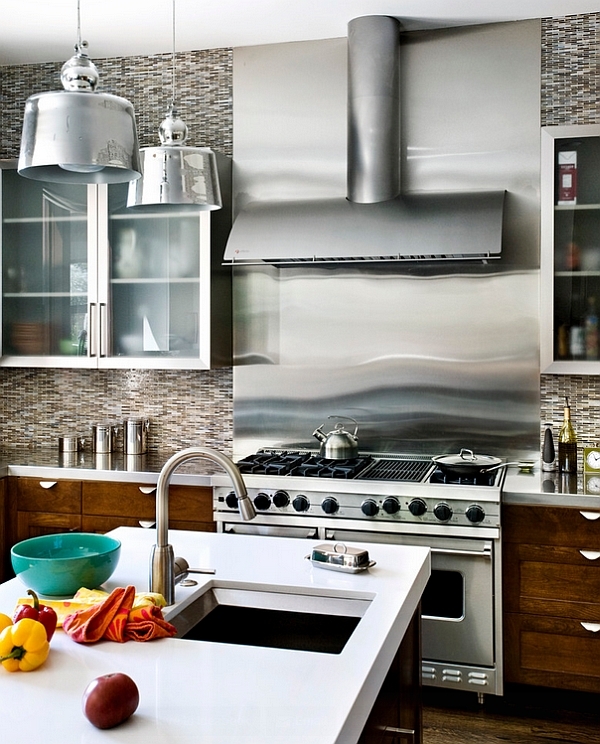 You can even use stainless steel polish available at kitchen stores for better results. But we recommend sticking to the more organic options. Even while using a polish, check out its contents beforehand to make sure it is safe for kitchen use. 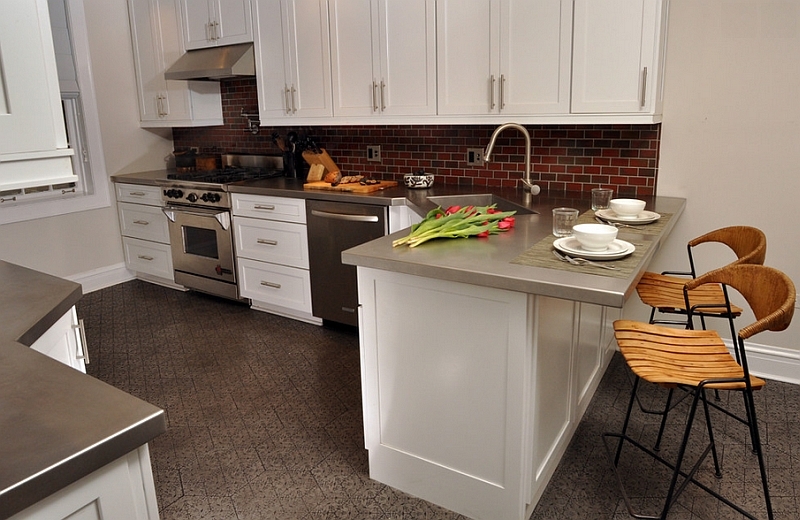 Cleaning stainless steel surfaces in the kitchen is completely different from doing so in the living room or even in an industrial environment. Using harsh, industrial-strength cleaners in the kitchen is completely unnecessary and unsafe. While this might indeed give better results visually and will make your stainless steel sink or countertop cleaner for a longer period of time, it is just not worth inviting such detrimental chemicals into the kitchen. We even suggest you keep them off of the refrigerator or microwave doors. 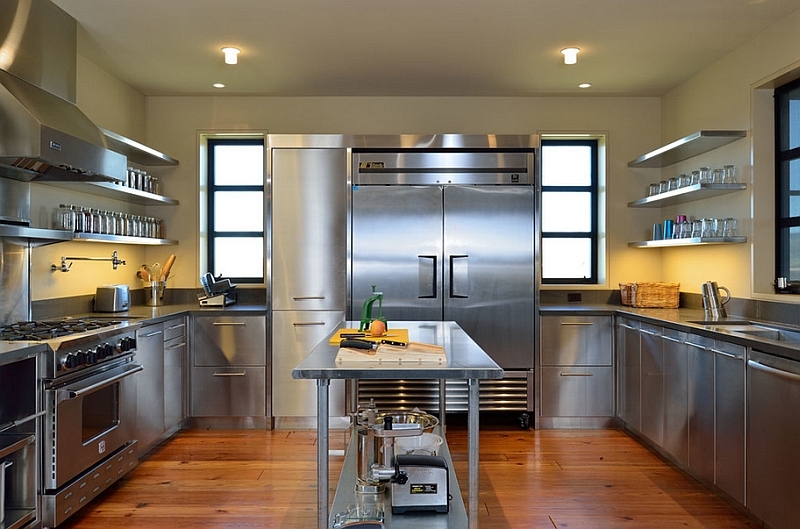 Stainless steel also demands very little when it comes to maintenance. 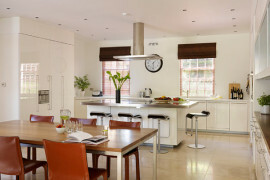 Treating it in the right way can make your cleaning task even breezier. Since the material is susceptible to scratches and dents, you’d better have a chopping board around while using a stainless steel countertop. Stagnant water or exposure to heat can also lead to dullness and discoloration. Surfaces that have a non-directional finish make the task of cleaning a touch simpler, while rubbing alcohol can be used to get rid of those really sticky stains. 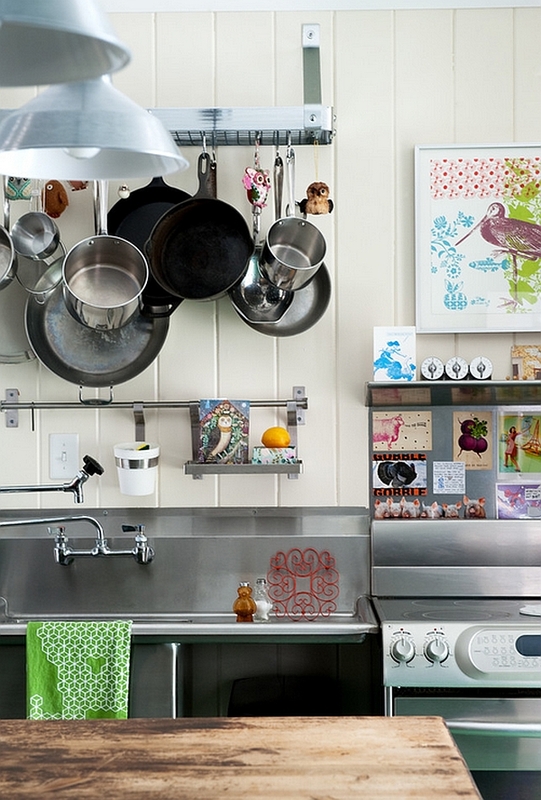 Have you embraced the stainless steel revolution in the kitchen?